What Better Way to Immortalize Man's Best Friend! We can create any design, or layout for your pet. Or you can design your own. 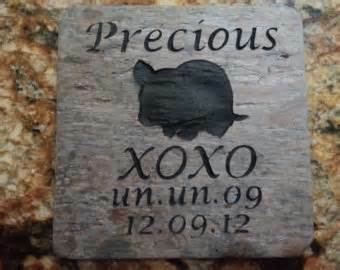 Porcelain photos can be placed on flat surfaces of an urn, rock or headstone. Whether for burial, to place in your home, or to wear close to your heart ,we also carry a nice selection of pet urns, keepsakes and jewelry to choose from. We also offer etched and porcelain photos to enhance your memorial.